This very fine fully articulated and wearable reproduction of the 15th century armor belonging to German Noble, Fredrich I, Count Palatine of the Rhine is a sight to behold! You may visit the Waffensammlungen (Arms Museum) in Vienna, Austria to view the original, or own your very own magnificent suit of historically style quality armor emulating the style and workmanship of the renown medieval Milanese Missaglia armory of Italy wherein the original was made. 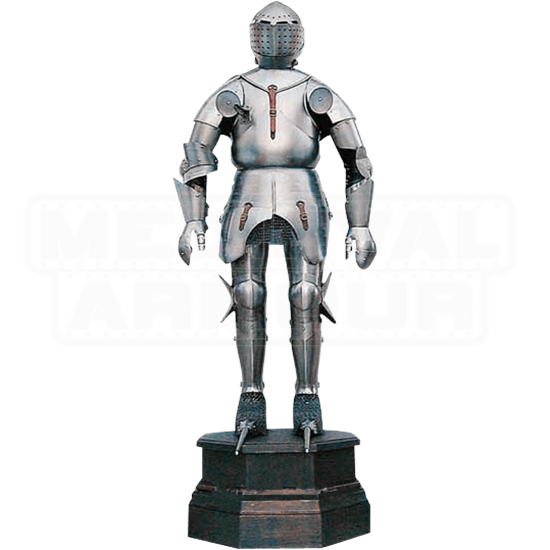 The Armor Of Friedrich Des Siegeichen is very impressive, quality steel suit of armor comes complete with stand towering almost 7 feet high on a heavy wood museum base. 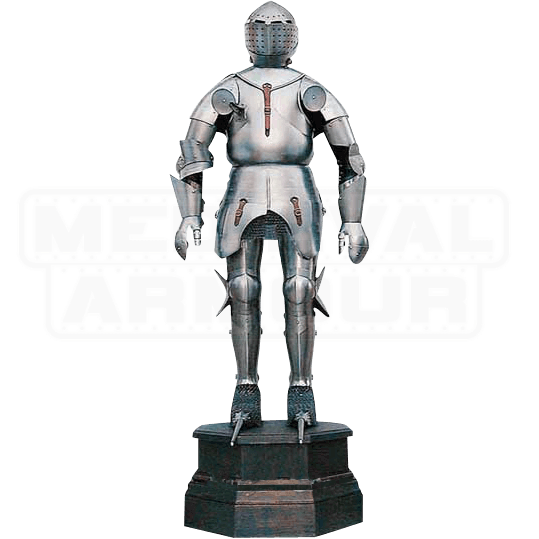 A magnificent, wearable masterpiece, this handsome armor embodies the appeal and functionality of plate armour from the high medieval era.